A country whose landscape is still engulfed by the memories of its Soviet past, Belarus is emerging as a trendy Eastern European hotspot - with the country slowly shedding its Communist reputation to become a budding and modern tourist destination. Unlike many of its neighbours who chose to become part of the European Union after the dissolution of the Soviet Union, consumerism is notably absent in Belarus – and those who visit are treated to a multifaceted destination rich in history, brimming with culture and populated by warm and generous inhabitants. And though its popularity is growing, Belarus' appeal might well be in its isolation. Indeed this is one of the few remaining places where you can still see what life was like during the days of communism. Largely untouched, Belarus offers an abundance of Soviet iconography, particularly in the big cities, allowing anyone with an imagination to visualise how things once were. The main destination is the capital, Minsk, defined by clean streets and neoclassical Stalinist architecture and where a cosmopolitan vibe sits alongside intense national pride. A veritable survivor, Minsk is a city whose character is almost tangible - having time and time again throughout its tumultuous history, refused to say 'die'. Brest is another city of interest. Nestled on the Polish border, Brest is possessed of charm and an abundance of history, also possibly the most Western of all the Belarusian cities. Outside of the cities, travellers will discover wide plains, picturesque villages, ancient castles, monasteries and dense forests, not to mention thousands of lakes. National parks protect some of the continent's largest marshlands, as well as some of Europe's oldest untouched woodlands, including Bialowieza Forest, a UNESCO World Heritage Site. The countryside also offers the chance to see some of the last remaining collective farms in action. While Belarus may still represent a corner of Eastern Europe that's still developing in the wake of some difficult times, travellers who give this destination the time it deserves will reap the rewards and are sure to enjoy a colourful, compelling country. 207,595 sq km (80,153 sq miles). President Alexander Lukashenko since 1994. Prime Minister Siarhiej Rumas since 2018. You’ll need to have valid medical insurance before travelling to Belarus. You’ll be asked to provide proof of your insurance when you apply for your visa or when you arrive at Minsk airport under the visa-free regime. Contact the Embassy of the Republic of Belarus for full details of what’s required. Although there is no recent history of terrorism in Belarus, attacks cannot be ruled out. Attacks could happen anywhere and could affect western interests and places visited by foreigners. Around 11,000 British nationals visit Belarus every year. Most visits are trouble-free. There is little crime in Belarus but, you should be alert at all times to the possibility of mugging, pickpocketing and theft from vehicles or hotel rooms. Take extra care when travelling by train; there have been instances of theft from travellers, especially on sleeper trains to Warsaw and Moscow. From 28 March 2019, you will need to have a 1968 International Driving Permit (IDP) to drive in Belarus. 1949 IDPs previously issued by the UK may no longer be accepted for use in Belarus after this date. From 1 February 2019 you can only get IPD’s over the counter from 2,500 UK Post Offices. You will not be able to buy an IDP outside the UK, so get one before you travel. You must be able to produce ownership documents or a letter of ‘power of attorney’ at border crossings. Only originals of these documents are accepted. You must have third party car insurance or you may get an on-the-spot fine. You can only buy this when entering Belarus. Ask at Customs’ border offices for further information. Buses may require permits for picking up passengers in Belarus, or for transiting. These permits are free. Find out when a permit is required and how to get one. Don’t overstay the temporary import terms for your vehicle. Violation of the exit deadline may result in confiscation of your vehicle at the Belarusian border or if stopped at an in-country police checkpoint. There may be long queues at borders. Customs and immigration can be lengthy and bureaucratic. You should ignore any private facilitators who offer to help you pass through checkpoints and border crossings. Drivers with foreign licence plates must pay a fee to use toll roads, via an electronic toll collection system. Information can be found on the BelToll website. The website includes toll road maps and guidance on registration, purchase of the required on-board unit, and payment. There are fines for non-compliance, so follow the installation instructions carefully to make sure your vehicle is successfully identified at checkpoints. The quality of driving in Belarus is unpredictable. A-class highways are in reasonable condition. The condition of B-class roads varies considerably and some are impassable for periods in winter. Road works and potholes are usually poorly marked. Horse and carriage combinations are a specific hazard for drivers in rural unlit areas. You should observe the speed limit at all times. The standard speed limit is 60 km/h (37 mph) in built up areas; 90 km/h (55 mph) outside built up areas; and up to 120 km/h (74 mph) on motorways (Brest-Moscow). Visiting motorists who have held a driving licence for under 2 years must not exceed 70 km/h (43 mph). There is a zero-tolerance policy towards drink-driving. There are police checkpoints on routes throughout the country. You should stop when instructed and have vehicle documentation to hand. You should only make official payments. See the AA and RAC guides on driving in Belarus. There are no internal flights currently available in Belarus. The International Civil Aviation Organisation has carried out an audit of the implementation level of critical elements of safety oversight in Belarus. Belarus is governed by a strong Presidential system with the police and security services loyal to it. The authorities show little tolerance for their opposition counterparts. You should maintain a high level of security awareness, particularly in public places and avoid demonstrations. There are severe penalties for drug-related crime. These include prison sentences of up to 5 years for drug possession and up to 25 years for serious drug-related offences. Homosexual relationships are permitted under Belarusian law. However, Belarus remains a conservative society and the LGBT scene is very low profile. Very few LGBT people are open about their sexuality. See our information and advice page for the LGBT community before you travel. Belarus does not recognise dual nationality. If you have both Belarusian and British passports the authorities will consider you as Belarusian, even if you enter the country on your British passport. This limits the UK government’s ability to provide consular assistance. You should avoid taking photographs of all government buildings, military installations and uniformed officials. You could be fined for jaywalking. If you wish to import goods or services for charitable purposes, consult the Belarus Embassy in London for advice about local procedures and tariffs. If you think your goods will be exempt from Belarusian taxation, you should get written confirmation from the Belarus Embassy in London, confirming this. All British national passport holders (except those entering on a diplomatic or official passport) can now enter Belarus for a maximum of 30 days without a visa (the day you arrive counts as day one, regardless of arrival time). Entry and exit will only be allowed at Minsk International Airport and you’ll need to show documentary evidence of medical insurance to the value of 10,000 euros and funds equivalent to 25 euros per day. This can be in the form of cash, credit card or travellers cheques in any currency. If you’re travelling immediately from/to a Russian airport or entering Belarus at any other border point other than Minsk International Airport, this visa-free arrangement doesn’t apply and you’ll need a visa. A maximum of 90 days stay in one calendar year is permitted. You can find more information at the website of the Belarus embassy. If you wish to stay longer than 30 days, or plan to enter on a diplomatic or official passport, you’ll need a visa. You don’t need a visa to transit Belarus by air, but the maximum period you can transit and remain airside is 24 hours. You must get a transit visa in all other circumstances including if you’re travelling by train on popular routes such as Warsaw-Moscow and St Petersburg-Kiev. If you attempt to transit Belarus in other circumstances without a visa, the border authorities will send you to Minsk to obtain the appropriate visa. You may also have to pay a fine of up to $300 and face deportation. There is a Belarus Embassy in London. Since 1 January 2018, it’s possible to visit the areas of Avgustov Canal, Belovezhskaya Pushcha, Brest or Grodno for short periods without a visa. 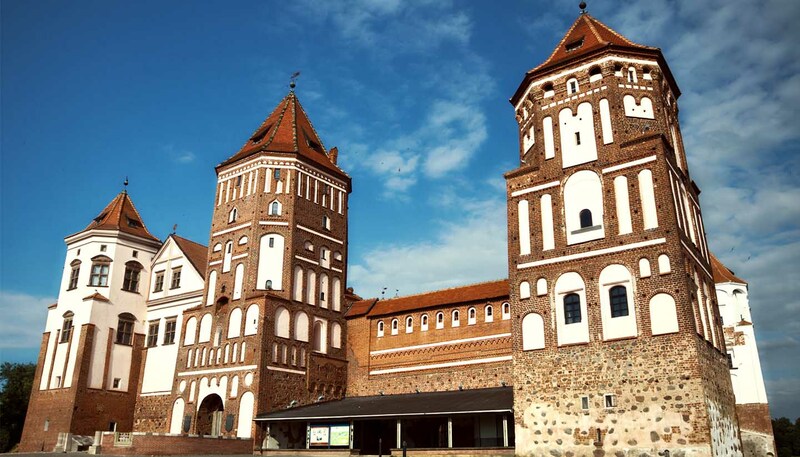 More information can be found at Grodno visa free and regulations for foreign citizens visiting the national park. This must be done through a registered tour operator and through assigned border checkpoints. The areas can’t be visited on an independent basis and you aren’t permitted to leave these zones and travel to other cities or regions. Failure to follow these rules could result in a fine and you could face deportation. The rules connected to the 30 day visa free regime via Minsk International Airport and the 10 Day visa free regime in Grodno and Brest are separate, with different requirements. Make sure you check with the nearest Embassy of Belarus before you travel. If you intend to work as a journalist in Belarus, make sure you receive accreditation from the Ministry of Foreign Affairs of Belarus before you travel and that you’re clearly identifiable at all times. Your passport should be valid for a minimum period of 3 months from the date of entry into Belarus. The Russian government has informed the UK government that there are no legal grounds for foreigners (including British nationals) to cross the Russia-Belarus state border. If you’re planning on entering Russia by road, you’ll need to take an alternative route through a different country. Please note that plans to extend the FAN ID scheme in Russia throughout 2018 will not apply to Belarus. If you’re planning on travelling by rail between the two countries, you should contact your train or tour operator to seek their advice. You should also consider contacting your nearest Russian Embassy for advice on the latest situation for rail travellers. The UK government isn’t aware of any difficulties for British nationals when travelling by air between the 2 countries, however, you should ensure that you receive an exit stamp in your passport when you leave the Republic of Belarus. If you don’t you will be denied entry on your next visit. Make sure you have all the necessary visas for the duration of your travel to Russia. You can find more information on the Russian Embassy website. UK Emergency Travel Documents (ETDs) are not valid for entry into Belarus. However, ETDs are accepted for exit from Belarus. You’ll also need a Belarusian exit visa which can be obtained from the local Immigration Offices (OVIR). The process may take up to 3 days. Anyone staying for more than 5 days in Belarus must register. This can either be done online or with the local police office (OVIR) in the district in which you’re staying. Registration will normally be arranged by your hotel. If you’re not staying in a hotel registration must be organised by your host. There are fines for not registering in time. If you arrive at the weekend, the earliest you will be able to register is Monday (but offices are only open until 1pm). If you are carrying more than $10,000 in cash or travellers cheques you must complete a currency and goods declaration form on entering and exiting Belarus. This must be stamped by a Customs Officer. Upon exit from Belarus you will not be allowed to take out more currency than you originally declared on the currency declaration form upon entry. You should keep these forms for the duration of your visit. When leaving Belarus you will have to complete a new form, but you should also have the original form to hand. If you do not, your journey may be delayed and you may be fined. Children under 16, whose parent or parents hold a Belarusian passport and who aren’t themselves Belarusian passport holders, must have a Belarusian Embassy or Consulate issued travel certificate to travel to Belarus. This is regardless of where they were born or any other nationality they may have. Parents of children entering on this document should liaise with the Belarusian authorities to ensure their children also have the relevant documentation to exit Belarus. The reciprocal healthcare agreement between the UK and Belarus terminated on 26 December 2015. The standard of health care is below that of the UK. You should bring essential personal medications, as the availability of local supplies can’t be guaranteed. Make sure you have adequate travel health insurance and accessible funds to cover the cost of any medical treatment abroad and repatriation. Avoid certain foodstuffs including local dairy produce, forest mushrooms and fruits of the forest, which can carry high levels of radiation as a result of contamination from the 1986 accident at Chernobyl in Ukraine. Otherwise the risk of radioactive contamination from the Chernobyl site is insignificant. There is an exclusion zone immediately around the Chernobyl site, which includes the area close to the border with Ukraine in the south east of Belarus. You may find access to this part of the country is limited. Don’t drink village well water as it is usually heavily contaminated with impurities. In cities, you should first boil, then filter tap water before drinking. Bottled water is widely available in shops. If you need emergency medical assistance during your trip, dial 103 and ask for an ambulance. You should contact your insurance/medical assistance company promptly if you are referred to a medical facility for treatment. Most people in Belarus only speak the Russian or Belarusian languages. You may need to find someone who speaks English to interpret for you. Sterling isn’t widely accepted for exchange into Belarusian Roubles (BYN). You should carry US dollars. Euros are also accepted. You no longer need to present your passport for foreign currency exchange. You should only exchange foreign currency at government licensed booths. These can be found in or near major stores, hotels, banks and shopping centres. Exchanging money elsewhere can result in fines and/or arrest and the currency involved will be confiscated. It’s not possible to exchange BYN into other currencies outside Belarus, but you can do this before leaving Belarus. There are plenty of ATMs in major cities. Credit cards are widely used and can also be used to withdraw cash. Usually only BYN can be withdrawn from ATMs. A small number of ATMs issue US dollars but the supply is unreliable. Inform your UK bank of your intended travel to Belarus before you depart to ensure they don’t block your card because of suspicion of fraudulent use in a foreign country.